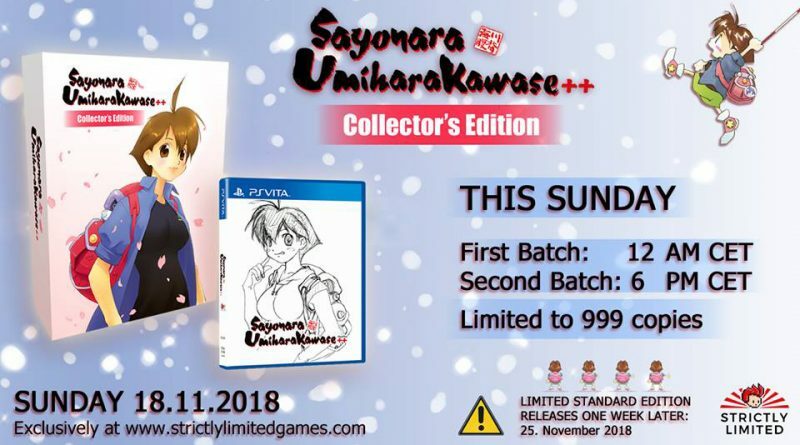 Strictly Limited Games has announced that physical editions for the cult action-platformer Sayonara UmiharaKawase ++ for PS Vita will be available for pre-order this weekend. This cult action-platformer from Japan offers unique gameplay and challenging platforming. You play as Umihara Kawase and swing through plenty of handcrafted levels using your rubber fishing line and a fishing hook. Besides the completely reworked Sayonara UmiharaKawase ++ in 2.5D for PS Vita, the game includes the original 2D game “Umihara Kawase” that was released back in 1994 on Super Famicom in Japan.